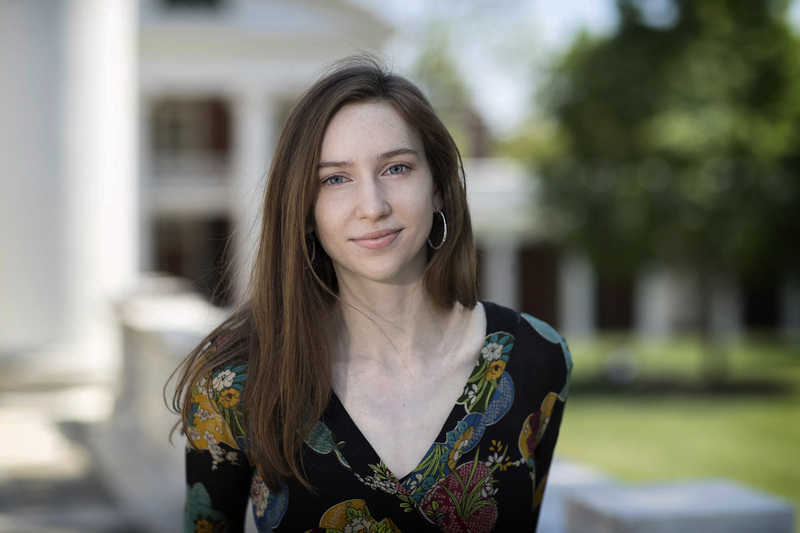 Three University of Virginia scholars will spend the summer immersed in foreign cultures and languages, thanks to the Critical Language Scholarships from the U.S. Department of State. Katya Sankow of Pittsburgh and Winchester, a second-year Russian and Eastern European studies major, who will study Russian in Vladimir, Russia. 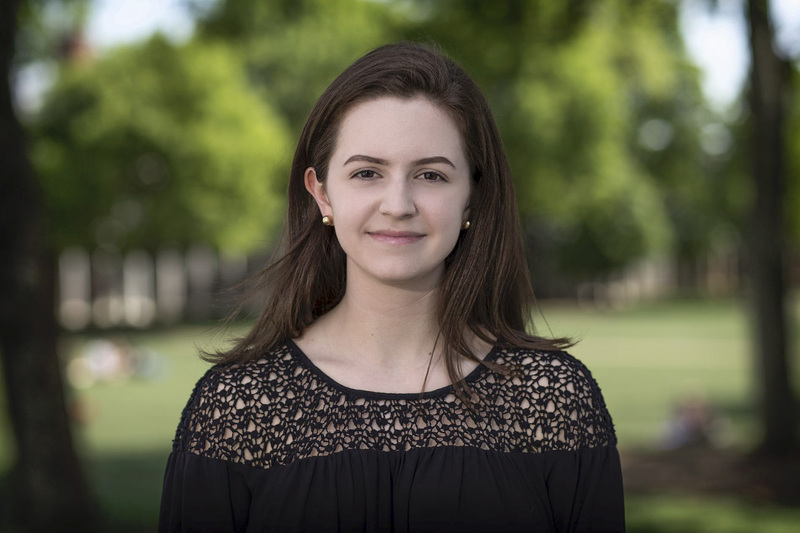 Olivia Moffett of Centreville, a third-year student double-majoring in Chinese language and literature and economics, with a minor in Middle Eastern studies and Arabic, who will study Mandarin in Xi'an, China. Olivia Grotenhuis of Madison, a second-year student double-majoring in foreign affairs and East Asian studies with a concentration in Korean, who will study Korean at Chonnam National University in Gwangju, Korea. Sankow is half-Bulgarian, and her perceptions of Russia have always been mixed. 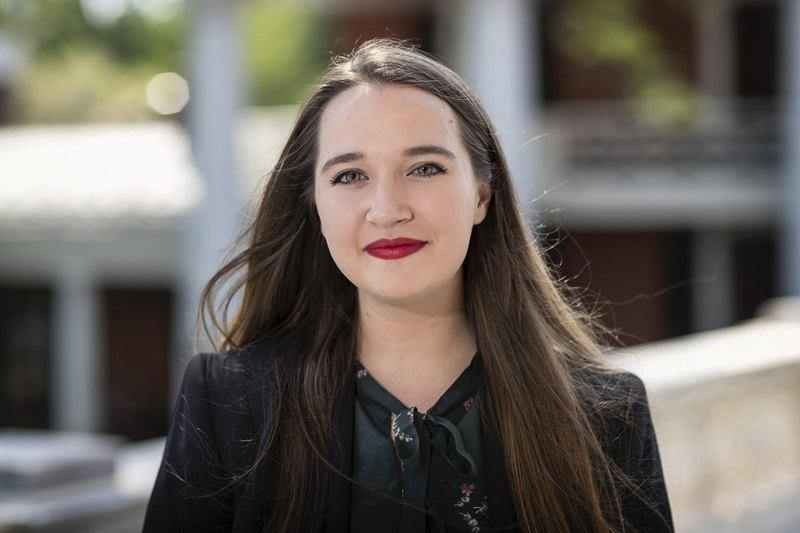 At UVA, Sankow is the vice president of the International Relations Organization and has competed in and chaired several Model United Nations conferences. She has been a volunteer for The Haven (a local day shelter for the homeless) and for Volunteers with International Students, Staff and Scholars; researched and produced podcasts with the Global Inquirer; planned programs for new residents of Brown Residential College; and is a member of the Washington Literary Society and Debating Union. She was also an assistant teacher for an English language and culture program in Bulgaria. A graduate of Peters Township High School, she plans to enter the Peace Corps after graduation. Moffett was president of the Metcalf-Lefevre Association Council of the First Year Leadership Experience, and then served on the Second Year Council’s Academic and Wellness Committee. She is a recolonizing member of Tri Sigma (Delta Chi Chapter); has been on the finance committee of Phi Alpha Delta pre-law fraternity; an editor for Virginia Undergraduate Law Review; a member of the Econ Club; and a competing member of the Virginia Competitive Cheer team. Her artwork has been featured in Veritas Art Show at the UVA School of Medicine. She has interned at a finance startup, NextGenVest, working on student loans. She is also a licensed Realtor. A graduate of Centreville High School, she is contemplating graduate school. Mark Metcalf, a lecturer in Chinese literature in the Department of East Asian Languages, Literatures and Cultures, taught Moffett in “Survey of Traditional Chinese Literature,” a course in English translation that covers China's literature from roughly 1000 BCE to 1000 CE. JungHee Kim, lecturer in Korean in the Department of East Asian Languages, Literatures and Cultures, praised Grotenhuis for her diligence in pursuing Korean on her own as a high school student with online materials and working with local Korean speakers. Grotenhuis is a member of the Transfer Advisory Board, the Liberty in North Korea club and the U.N Women’s Committee, and is a participant in the Women’s Leadership Development Program. A graduate of Veritas Press Academy, an online classical education high school, she plans to pursue a career in the State Department. The Critical Language Scholarship gives Grotenhuis an opportunity to fulfill a dream she has had for some time.